Top Quality Exterminating is a full service, family owned Pest Elimination company serving Nassau, Suffolk and Queens Counties for over 25 years, offering quality, environmentally friendly pest control solutions across Long Island and Queens. 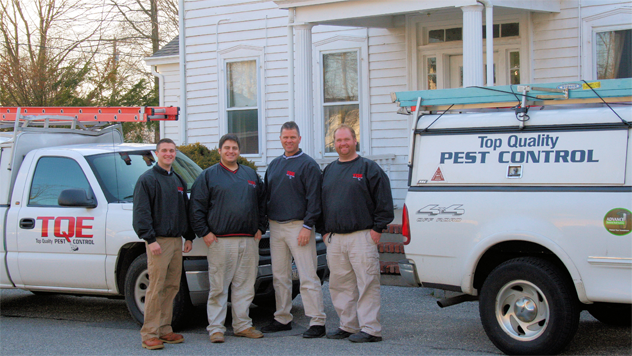 We live on Long Island and understand pest control and employ various strategies to ensure that our Integrated Pest Management delivers the most economical means while minimizing the risk to you, your family, your pets and your environment. We provide quality residential and commercial pest inspection services when purchasing a residence or commercial property. Simply Contact Us for your FREE Termite Inspection and a FREE Estimate for your home or business. Top Quality Exterminating can handle all of your pest control and extermination needs. Our technicians are experienced and knowledgeable in eliminating termites, bed bugs, bees, wasps, cockroaches and other pest removal needs for your home or business. Let Top Quality Exterminating be your pest control service for your home or business.